On the photos or slides, a “by” indicates one of the photographers or videographers with links on our sidebar. Please visit their sight to see many more fantastic shots, a “©©” copyright symbol indicates a photo from Creative Commons and ©WikiC is a Creative Commons photo from Wikipedia. 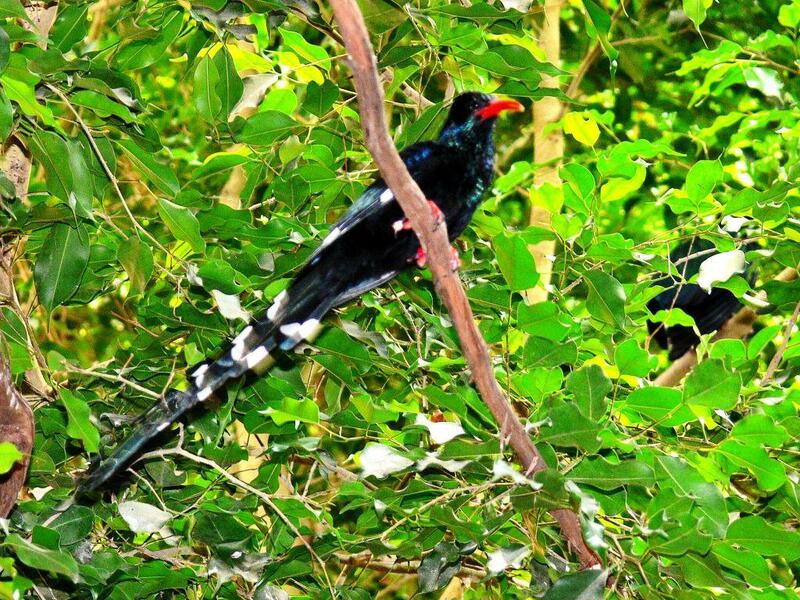 The Wood hoopoes and scimitarbills are a small African family, Phoeniculidae, of near passerine birds. They live south of the Sahara Desert and are not migratory. While the family is now restricted to sub-Saharan Africa, fossil evidence shows that the family once had a larger distribution. Fossils attributed to this family have been found in rocks in Germany.